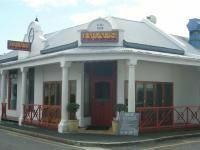 Brads Grill was established over 30 years ago, and it was initially situated on the corner of Lansdowne and Belvedere Roads, until the restaurant moved to Harfield Village in 1986. 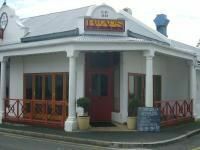 Brads is famous for a bustling, warm atmosphere and personal service from the the larger than life character of Brad the owner. A trip there isn't complete without the famous Pepper Fillet which is an award wining must, while the superb menu also offers chicken and fish, prepared in a variety of interesting ways, as well as combo meals. Brad’s calamari is a firm favourite and worth coming back for. The wine list is unpretentious and well priced.